WHAT DOES IT MEAN TO BE A PARTNER OF AMPLIFY MISSION? We provide a unique platform that allows emerging ministries the opportunity to engage the time, talents and networks of our Partners. 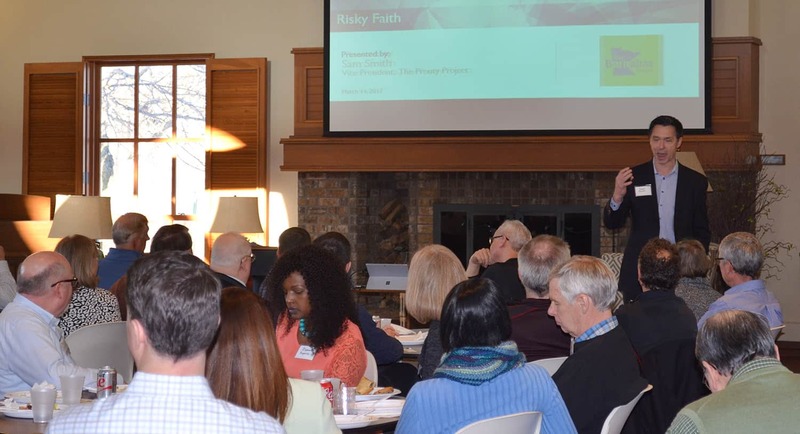 This opportunity allows ministries to get in front of Partners at each of our meetings. Each year Partners have 6 to 8 well known Christian leaders come challenge, encourage and educate them! Folks like Ward Brehm, John Busacker, Jay Bennett, Jon Turnipseed, Chad Schwitters and many others. More than 12 ministries present each year to Amplify Mission Network. Each ministry receives an amplify partner team to help shape and develop their strategic ask to maximize impact. Amplify Mission Network offers an ongoing learning academy for emerging ministries. More than 120 ministries interview with and are helped by Amplify Mission Network staff and partners. Our mission is to see the time, talent & network of marketplace & other Kingdom leaders help ministries in way that is cohesive with their objectives – from small start-ups to new initiatives and enterprises within larger organizations – transforming lives worldwide. Click the button below to download and fill out a PDF application, or contact us today to learn more about becoming a partner.